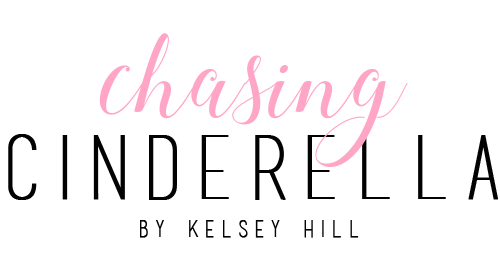 Mother's Day is right around the corner, and I've partnered with GiGi New York to help y'all find the perfect Mothers Day gift! 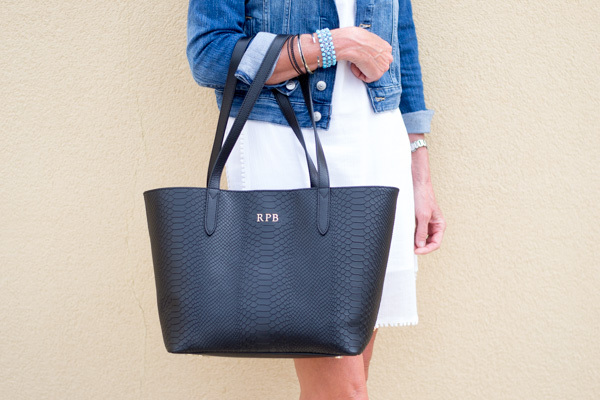 The Teddie Tote is made up of embossed python leather, with a center interior zip divider pocket and a magnetic closure. It's the perfect size tote (not too big) and has enough room to carry a laptop for all the working gals! These totes come in six different colors and you can have it personalized with up to three letters. 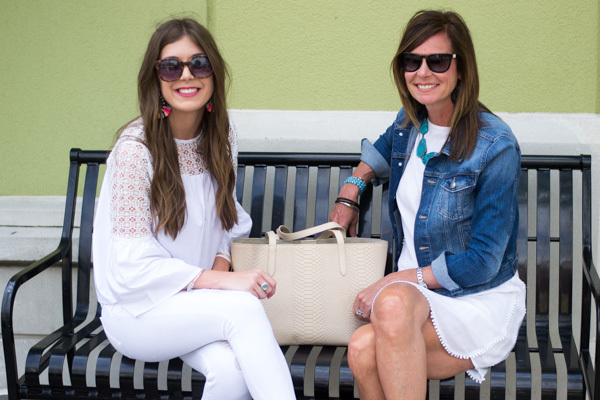 Mother's Day isn't just for your birth mother, but for all the mother figures in your life! With my mom now living 8 hours away, Cab's mom (pictured here with me) has become a huge part of my life. 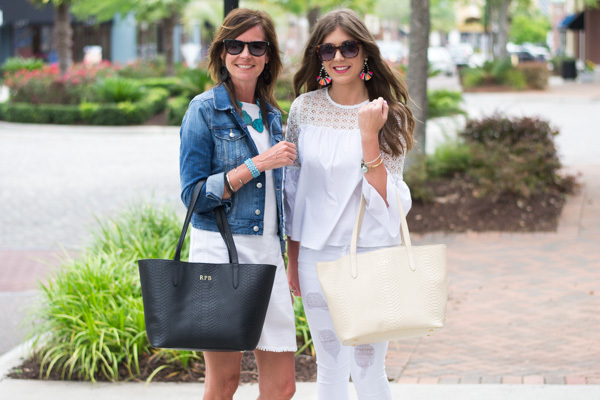 She absolutely loved her new Teddie Tote and I know your mom will too! 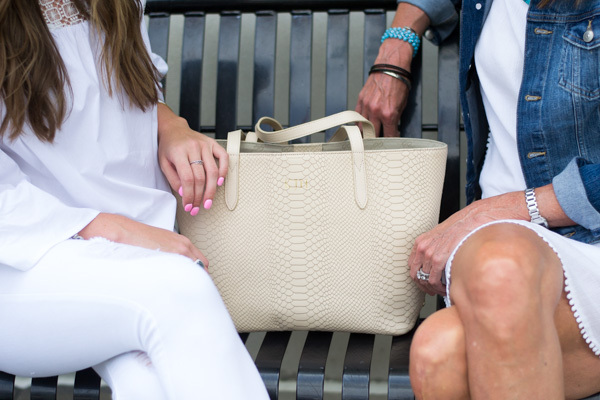 A great bag is seriously the perfect Mother's Day gift. It's something that I feel mom's don't always treat themselves to! My mom asked for Margarita's and that's something I can also get behind! This is so cute! Love yalls bags! I love this bag! It is a great gift for Mother's Day! Beautiful mom and daughter! Still one of my favorite classic GiGi bags! I love the Gigi NY totes! I want one so bad! 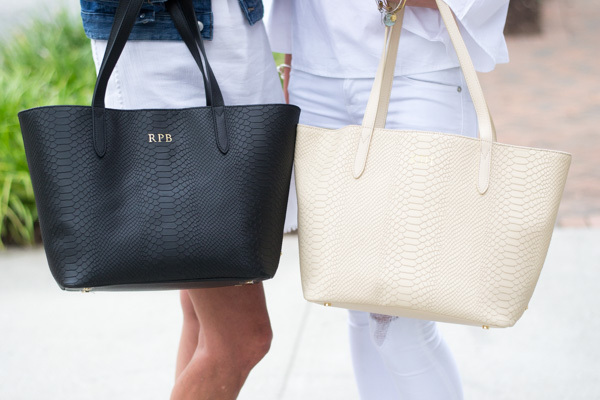 These are the best totes! And I love all the photos of you and your mom! Such a cute tote! So perfect for Mother's Day!!! Y'all are both Gorgeous!!! And, those totes are the perfect gift!! You two are so adorable!! 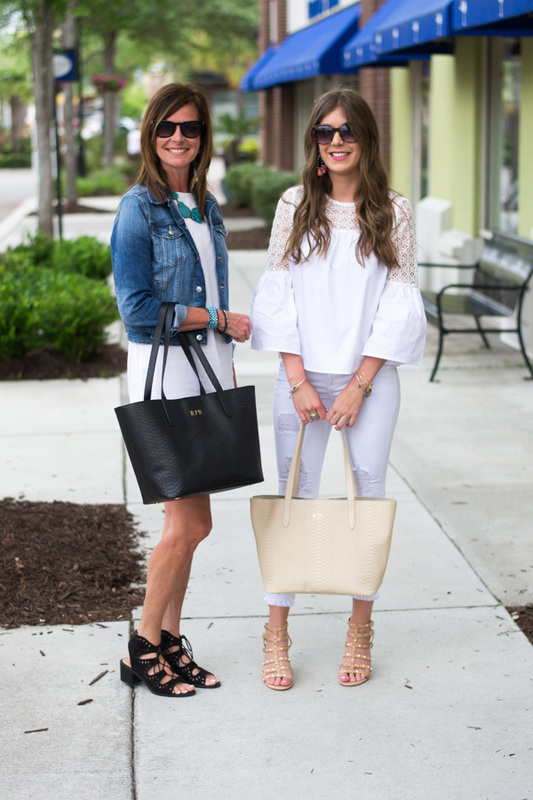 And I think my mom and I need those totes, too! So cute! This is a darling post. I love it and you both are so chic!! 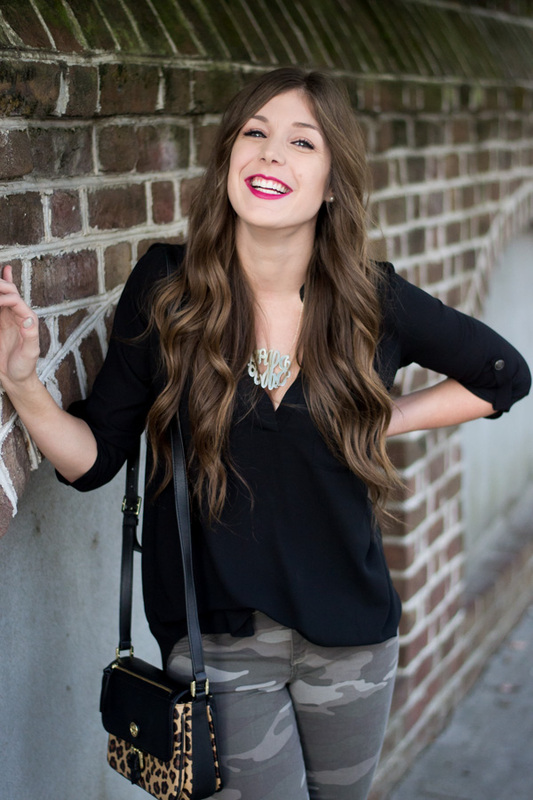 those totes look amazing and these pictures are so cute! I love GiGi NY! They have the best bags and your earrings are adorable!